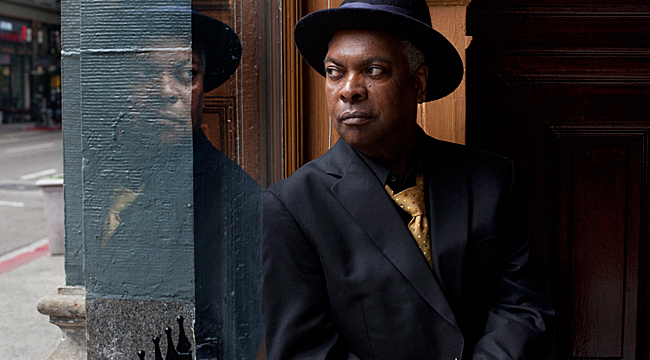 The career of multi-instrumentalist Booker T. Jones dates back to the early ‘60s when he got a gig as a session musician at Satellite (soon to be Stax Records) in Memphis. When he was 16, he played saxophone on “’Cause I Love You” and launched a career. 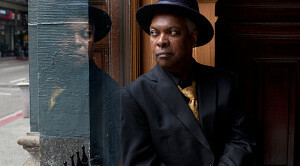 He formed the M.G.s and recorded the group’s classic organ-propelled “Green Onions.” Jones, who was inducted into the Rock and Roll Hall of Fame and Museum in 1992, started his tour in Europe about a month ago but has only played one date in the States. The tour gets into full swing at the end of this month. He spoke via phone from his Lake Tahoe home about what to expect from the shows. How were you able to play so many different types of instruments when you were young? Just curiosity. I think I got a little musical acumen from my parents. My mother played piano. She probably played when I was in the womb. My father sang. My sister and brother were both singers. I taught myself on a drum from the five-and-dime store downtown and I got a ukulele from there too. I picked around. I couldn’t read music, but I taught myself a couple of chords and stuff like that. I think I read that you were in high school when you wrote “Green Onions.” What inspired that song? I was in twelfth grade. It was June of 1962. I was just about to graduate. A number of situations inspired it. I had been taking music theory and from a choral teacher and he was teaching me that on piano. I was playing around with different chord progressions. I had gotten a job at Stax Records as a session musician, playing different instruments, mainly saxophone and piano. The opportunity was there to record a song on a Sunday afternoon when the artists who booked the studio had finished and left. When you recorded it, did you have a sense that it would become a hit? Not even remotely. I was just doing a session, hopefully to get a check. I was just having fun. You had a good run at Stax. It was. It started when I was pretty young. I was about 14 or 15 when I played baritone sax on “‘Cause I Love You.” I got to supplement my paper route by playing sessions at Stax. It got me through high school. It was a great part-time job. It continued through college. It went through until 1969. I had some great experiences. It defined my life, actually. Talk about your move to California in 1970. Why did you make that decision and what was the music scene like in California then? It was exciting. There was a lot going on in California. First of all, it was all around Hollywood which had been a scene in the ‘50s and early ‘60s. Musicians came from all around the world and were creating new music and meeting each other. Stephen Stills came from Texas, Leon Russell came from Oklahoma and Bill Withers came from Virginia. All genres were accumulating there. How’d you meet Bill Withers? I met him through the guys at Soul Stax Records. When Stax got sold to Paramount, this guy discovered him. He made a living selling companies. He decided to start his own and in doing that he found this singer in Inglewood. He sent him to my ranch in Malibu to ask me what to do. I went right into the studio with the guy. You were inducted into the Rock Hall in 1992. What was that experience like? Oh, that was unbelievable news. That was an unbelievable phone call. It was so early and soon. The Rock Hall organization was young at the time. I thought it was just for rockers. I didn’t know it was for all musicians. That was just amazing. We were very fortunate to get inducted and it helped my career and my visibility. It was a nice accolade. It made me feel good. You toured with Neil Young in the ‘90s. How’d you meet him? I met him at Bob Dylan’s tribute concert in New York at Madison Square Garden. He was one of the artists. We backed up the whole show and we hit it off with Neil. I had known Stephen Stills and Graham Nash in L.A. before that. We had a good time musically there and he felt comfortable with the band. He had been a soul guy before he got into rock ’n’ roll. He had a band in Detroit called the Mynah Birds. The tours were great. He’s a great guy. It was simple music and music that we were comfortable with. He gives everything on stage. It’s actually instructional for upcoming musicians. He gives everything to each audience. That’s why his audience is so big. Potato Hole was your first solo album in ten years. What got you back into making solo albums? The business was difficult for me starting in the mid-‘80s with disco. I wasn’t a disco guy, although I love electronic music. I didn’t have a recording label. I worked with A&M for a number of years. Once that was over, I didn’t have a label. It wasn’t until I met the people at Anti- that I found someone who let me make the kind of record. I wanted to make a guitar album. I got Neil Young and the Drive-By Truckers to help me make a guitar album. Your most recent album is Sound the Alarm. Talk about your approach on it. That’s more back to the Stax-style of R&B. Most of the people on the album are neo-soul singers and players who are reviving the ‘60s style of R&B. And it’s also on Stax, which is my original label. No. It’s good. It’s all new people. The only strange part is that it’s not in Memphis. It’s in Beverly Hills. It’s a good company. They started in Concord, California with jazz. They did well and they moved to Berkeley and then got Fantasy Records. They then picked up Stax. The original guy that was with the label in the beginning is still there. He’s a good music guy. It’s a good company. How do you keep up with what’s going on? I don’t keep up. I met them in various situations. I met Mayer Hawthorne through my friend Daryl Hall who is a big advocate. I met him when we did Daryl’s show together. He sang and he was doing this Philadelphia soul stuff. Everybody I met on the album is somebody I met in a situation. I met Anthony Hamilton at the Grammys, standing in line after the show. I thought it was more than a coincidence. Is there as much talent today? Yes, there is. There’s more. There’s a lot of very talented people around the world. It’s difficult because they’re getting into a difficult field, but they’re really good dedicated musicians. Talk about your live show. It’s rather spontaneous but it includes music that’s influenced me and music I’ve been involved in. It’s something I either played on or influenced me to play. I might do Ray Charles music. I was a big Ray Charles fan. I played on some Bob Dylan songs so I do some of those. The M.G.’s music is always on my show. Some of the songs from the newer albums from Potato Hole to The Road from Memphis, the album I did with The Roots. It’s the story of my life and my career. I have a great group of musicians. My son Ted just started playing guitar with me and Vernon Black is on guitar. I got a guy from Memphis, Darian Gray, playing drums. It’s a great, great organic group.